This environmentally friendly backpackers lodge, lovingly restored to their original grandeur, features 2 elegant guest lounges, spacious gardens, and verandahs with views of Auckland city skyline. 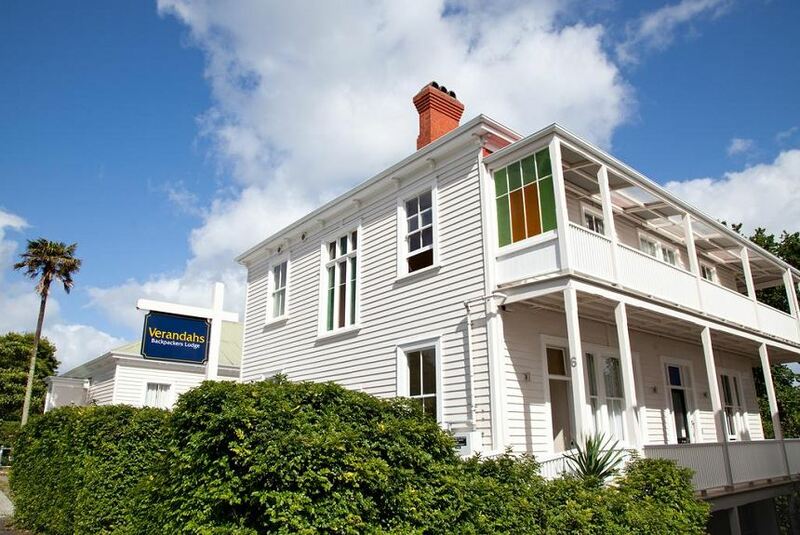 Situated next to Western park, Verandahs Backpackers is located on Auckland’s famous Ponsonby Road, with cafes and restaurants on the doorstep. Britomart Transport Centre is only 5 minutes’ drive away. Each guest lounge has a book exchange, magazines, games, regular movie nights and a computer with high-speed internet access. Facilities include luggage storage, guest laundry and bicycle hire. Verandahs Backpackers Lodge offers a choice of shared and private rooms. All include blackout curtains, heating, carpeted floors and access to shared bathroom facilities.